We were fortunate enough to visit not one, but two of the most photogenic locations in the western deserts of America in a single day. The immense scale of horseshoe bend was beyond comprehension. 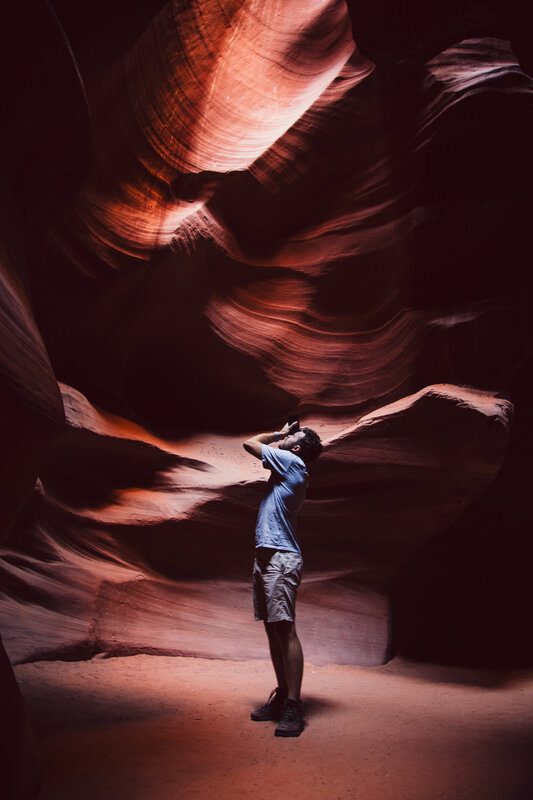 While the intimate beauty of the twisted sand-stone caves of Antelope Canyon inspired a wandering wonder. Both of these natural wonders were born through the sheer power and persistence of our greatest element on earth; Water.